-The Rii i8+ Air Mouse feel very good When you use . People use keys for European & American countries. More important it is Genuine/ Original quality goods. -usb wifi transmitter cable contact the computer, notebook. you can don’t longer rely on the keyboard. Follow one’s inclinations of the sofa, computer operation. – 2.4 GHz wireless the rid_device_info_keyboard with the Touchpad, and 2.4 GHz wireless the rid device_info_keyboard with the Touchpad. – The Touchpad DPI adjustable functions provides. – Built – in high sensitive smart touchpad with 360 – degree flip design. – The Mini QWERTY the rid_device_info_keyboard with multimedia control keys and PC gaming control keys. – Innovative shape, protable, elegant. – Build – in removable rechargable Li – ion ‘that has longer standby time. – Perfect for PC, Pad, android TV Box, Google TV Box, Xbox360, PS3, system/IPTV, etc. 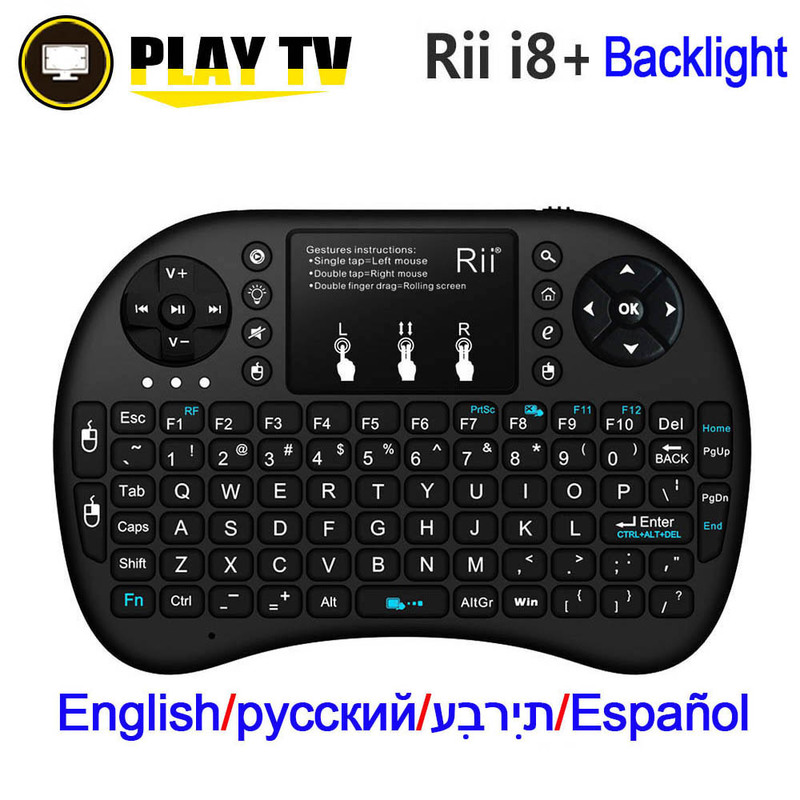 if you use keyboard with android 6.0 tv box, when you press soft keyboard “Enter” ,it will show Q or other letters. if you use keyboard with below android 6.0 tv box, this problem won’t happen. 2.Solution:Pls not use soft keyboard to press “enter” if your android tv box is 6.0. – Feedback : We maintain high standards of excellence and strive for 100% customer satisfaction! Feedback is very important! We request that you contact us immediately BEFORE you give us neutral or negative feedback, so that we can satisfactorily address your concerns.We appreciate 5-star positive feedback, It’s good for our longterm business. We will also send the same feedback to you!